It seems like nearly every neighborhood in Chicago has its own farmers market, but the city isn’t the only place where you can find fresh produce. The suburbs have a wealth of open-air farmers markets that pitch their tents and sell all summer long. 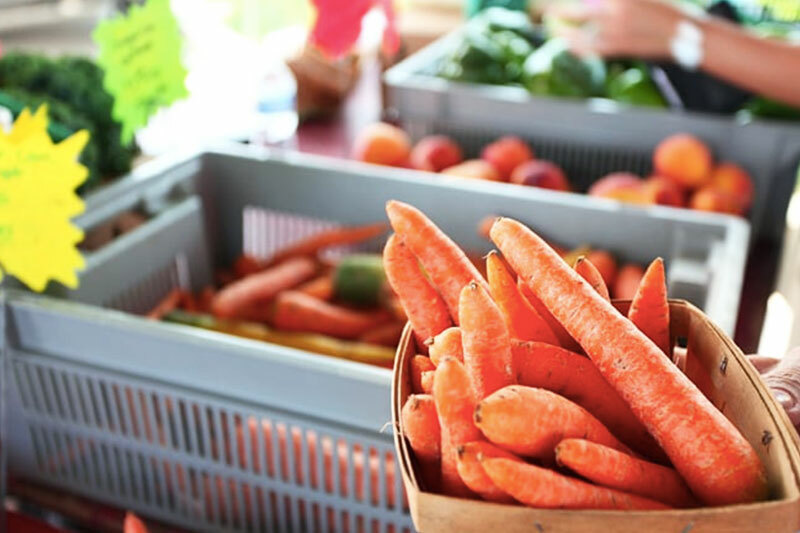 Shop any one of these suburban farmers markets for food fresher than you’ll find in any grocery store. The Aurora Farmers Market has two locations. You can swing by Aurora Farmers Market Downtown, which runs on Saturdays from June 9 to Oct. 20, and you can shop the stalls on Wednesdays at Aurora Farmers Market West, which kicks off July 11 and ends Sept. 26. Both markets bring together local vendors who sell fresh produce, bread, cheese, preserves, and more. While you do some organic shopping in Aurora, you can also grab fresh coffee and listen to live music. 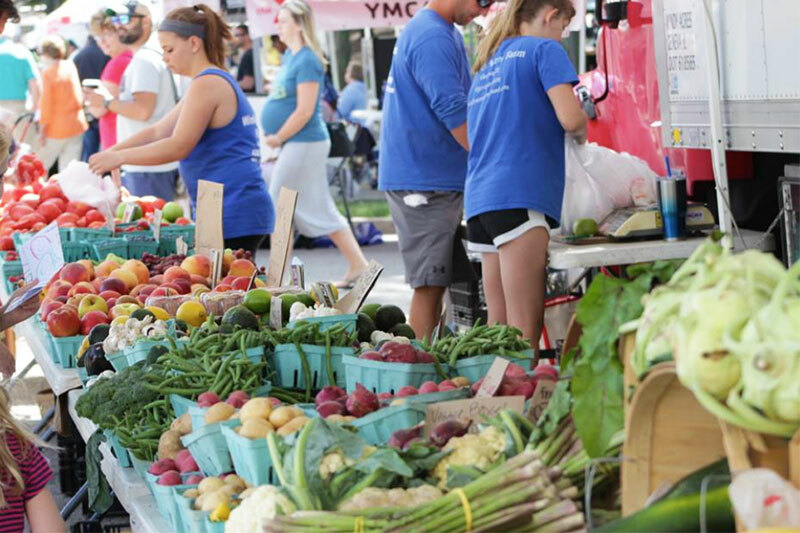 The Indian Boundary YMCA of Metro Chicago has been organizing the Downtown Downers Grove Market with the help of volunteers since 1990. This year’s farmers market began back in May, and it’ll run every Saturday through Oct. 20 at the Downers Grove Train Station. Since its inception, this suburb’s market has grown to feature more than 70 different vendors. You can browse a huge selection of fruits, vegetables, meats, spices, baked treats (even ones your dog can eat), fresh cut flowers, and a ton of hand-made crafts. 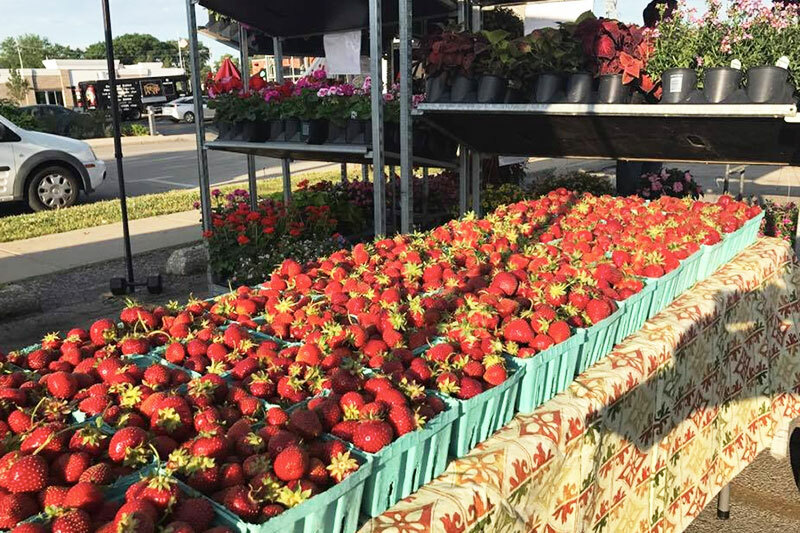 The Elmhurst Farmers Market starts bright and early every Wednesday at 7 a.m. and stays open until 1 p.m. You can visit this Elmhurst summer staple anytime between now and October. The York & Vallette Business Association hosts the annual event. Keep an eye out for seasonal items like asparagus, blackberries, blueberries, broccoli, cabbage, cherries, collards, peaches, radishes, spinach, and summer squash. 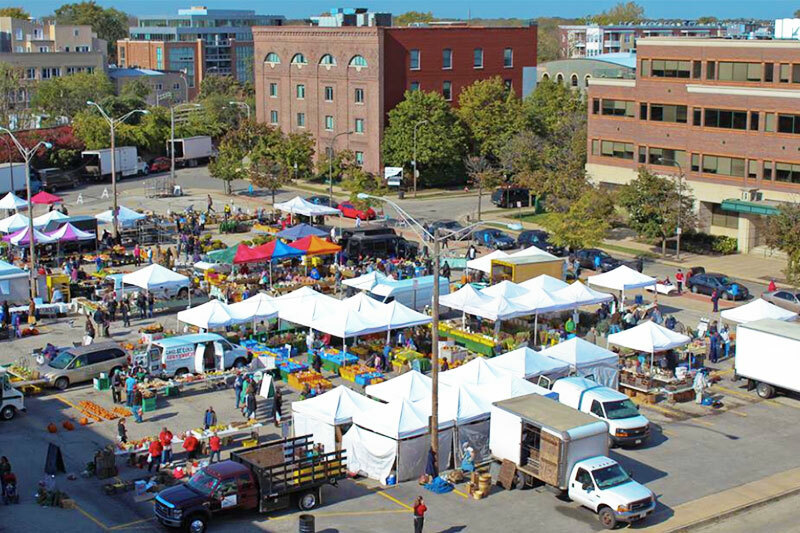 The 43rd annual Evanston Farmers Market is being held on Saturdays from May 5 until Nov. 3 at University Place and Oak Avenue. Shoppers can load up on fresh and organic goodies between 7:30 a.m. and 1 p.m. Look for stalls displaying goods from local farms, bakeries, and coffee shops. This Evanston event also offers fun activities for kids ages 2 to 10 and displays art by local artists through the Homegrown Artists showcase. It’s no surprise that the Chicago Botanic Garden in Glencoe puts on a fabulous farmers market. The third annual Summer Farmers Market is open to shoppers on just two days: July 14 and July 15. Come anytime between 10 a.m. and 4 p.m. to buy and sample fresh, seasonal goods. Look for vendors like Elsie Mae Canning and Pies, Peace Organics, Wind Ridge Herb Farm, and Xanadu Apiary. If it happens to rain that weekend, the Summer Farmers Market will still be open for business. Glencoe also has another farmers market at Wyman Green on Saturdays, June 9-Oct. 13, from 8 a.m. to 1 p.m. The market features live music alongside vendors selling produce, baked goods, meat, cheese, crafts, and more. 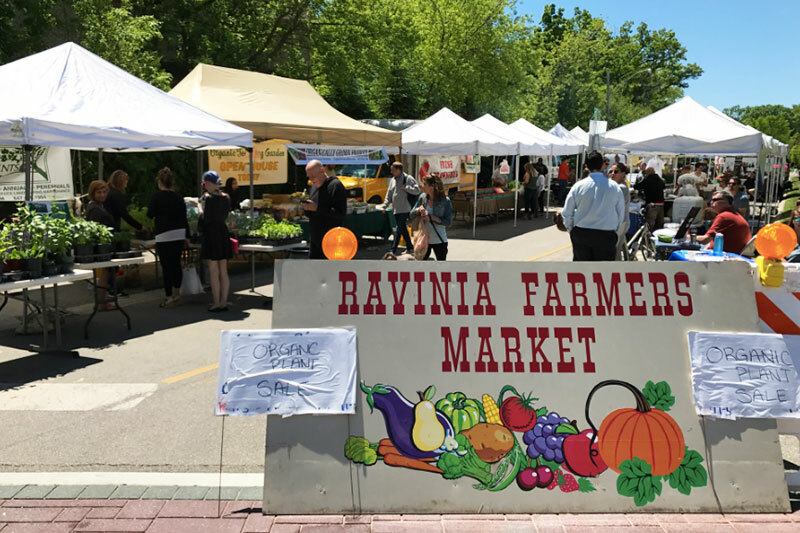 The first Ravinia Farmers Market was held in 1978, and it’s still opening each summer rain or shine. This year’s Highland Park event began on June 6, and it’ll run every Wednesday from 7 a.m. to 1 p.m. through Halloween. While you stock your bags with goods to bring home, you’ll be treated to live music and live cooking demonstrations. You’re also welcome to enter a weekly drawing for a chance to win prizes, including Ravinia lawn tickets. The 43rd annual Oak Park Farmers Market is being hosted in the Pilgrim Church Parking lot at 460 Lake St. The market runs every Saturday from 7 a.m. to 1 p.m. through October. 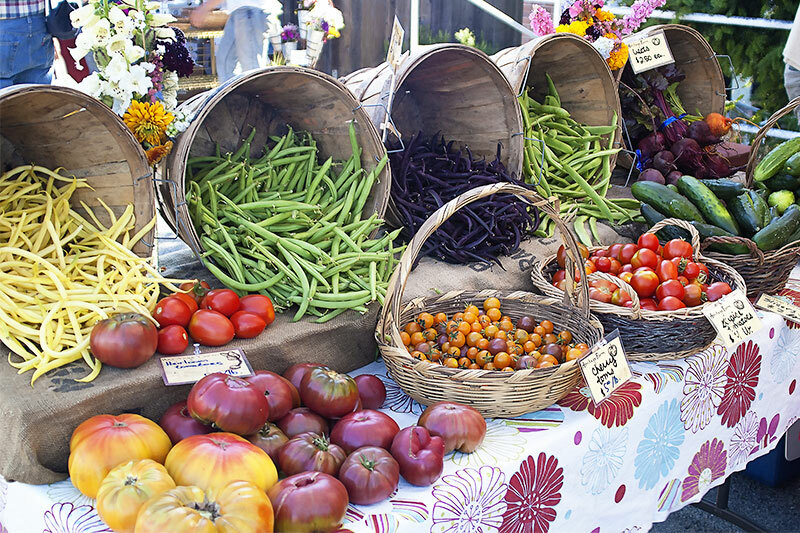 Like any farmers market worth its salt, this event offers fresh fruit, vegetables, meats, grains, honey, syrup, flowers, eggs, bread, and cheese. But the doughnut makers are one of the best parts of this farmers market. Before each market day begins, the market makes old-fashioned cake doughnuts that visitors can enjoy with fresh coffee and juice. 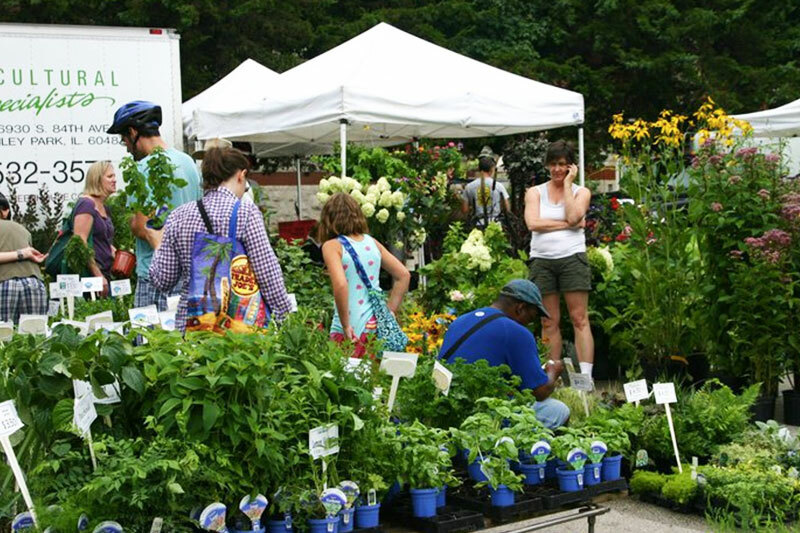 The farmers market is also accessible via Oak Park’s Ridgeland Green Line CTA station. 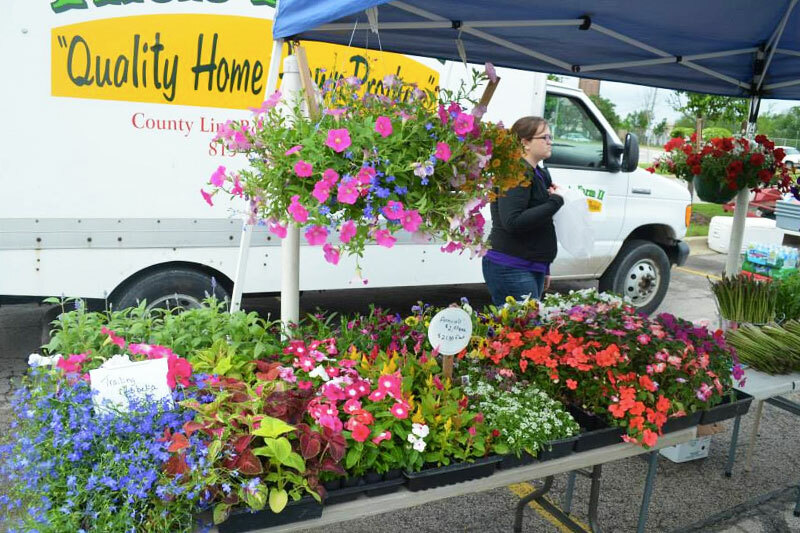 The season for Schaumburg’s Farmers Market began on June 1, and it’ll run every Friday from 7 am. to 1 p.m. through October. The market, located in the parking lot of the Trickster Gallery at 190 S. Roselle Road, is supported by vendors selling everything from fresh squeezed lemonade and snow cones to locally grown produce, meat, and flowers. Each market day is accompanied by a different style of live entertainment. Through the summer, you can catch harp performances, folk songs, and violin music. Plus, local experts come to the market to answer your questions on a wide variety of topics including gardening and bike safety.